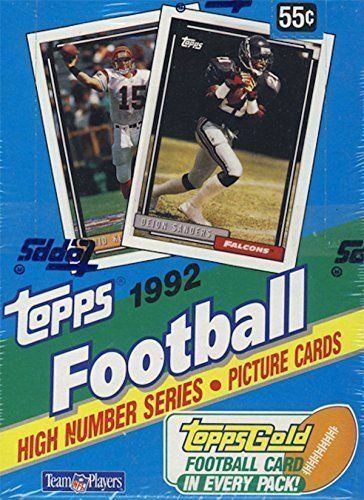 1992 Fleer Game Day Football Hobby Box - Factory Sealed! 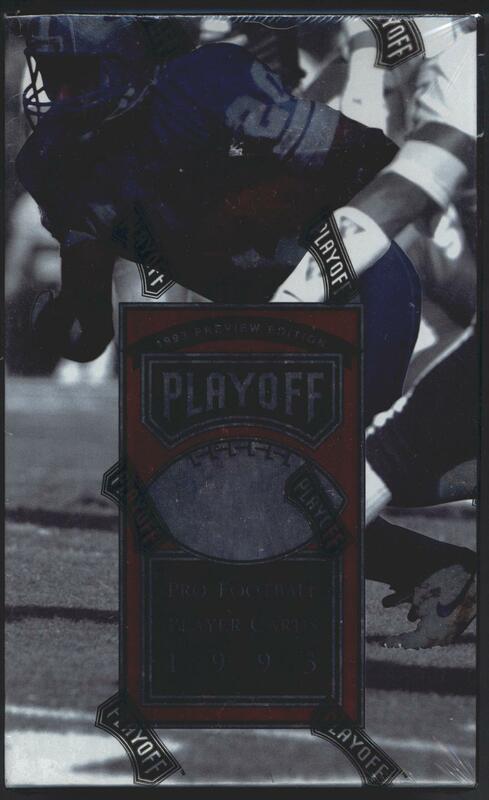 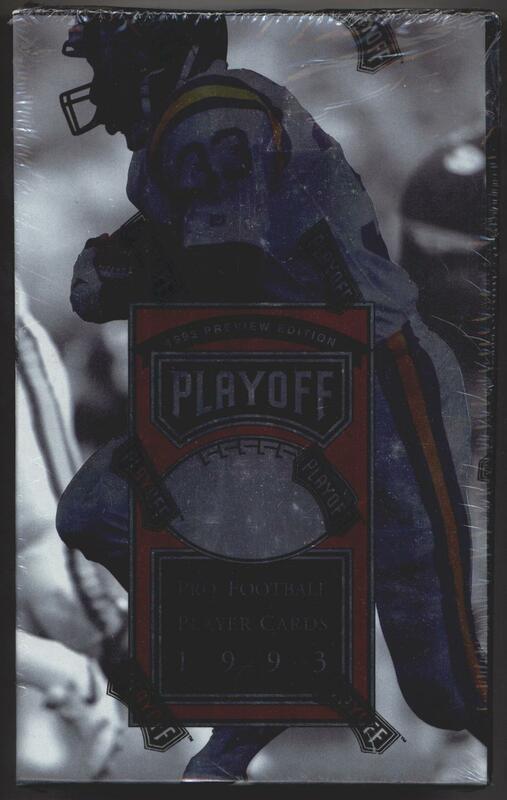 1992 Playoff Football Hobby Box (1993 Preview Edition) Factory Sealed! 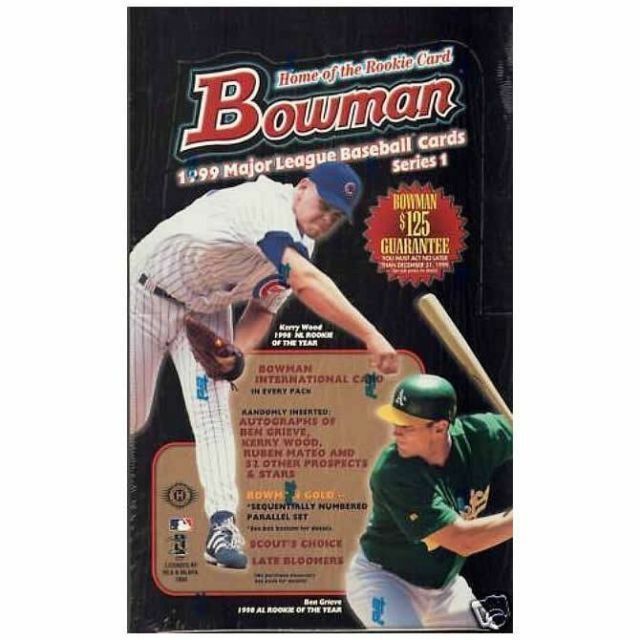 1999 Bowman Series 1 Baseball Hobby Box - Factory Sealed! 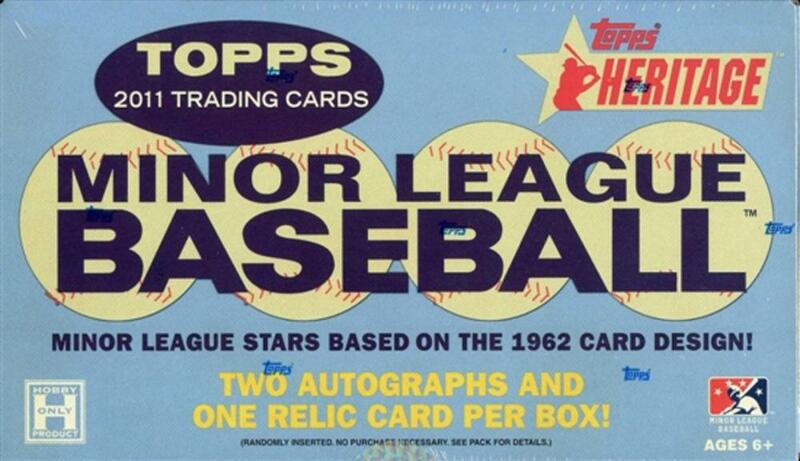 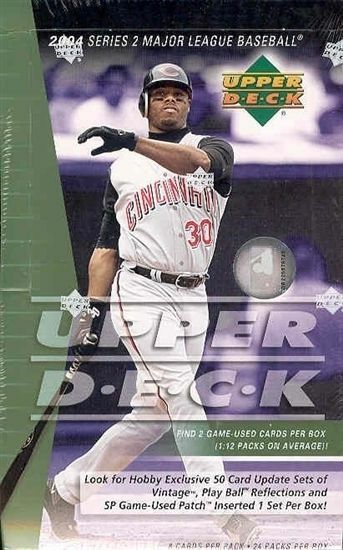 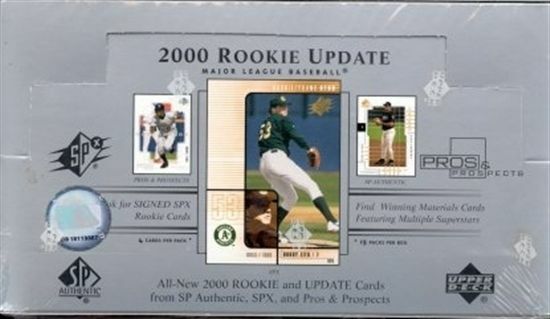 2000 Upper Deck Rookie Update Baseball Hobby Box - Factory Sealed! 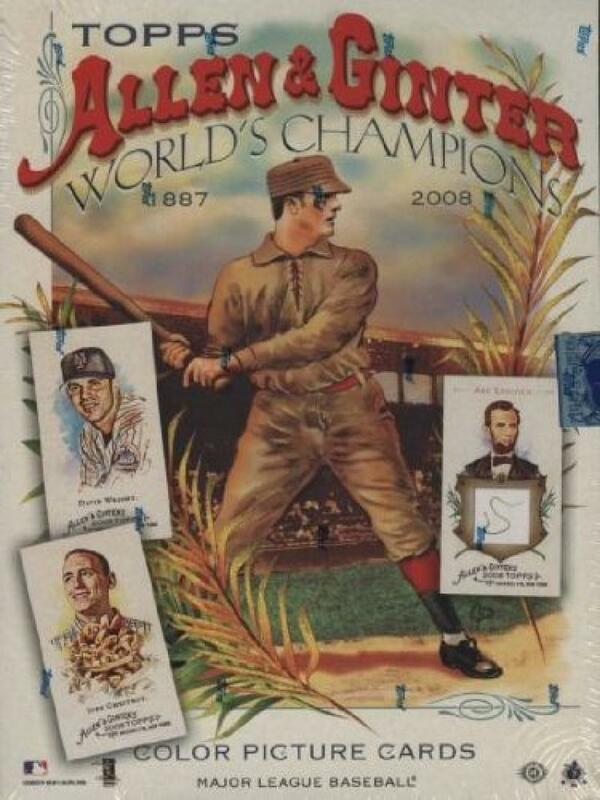 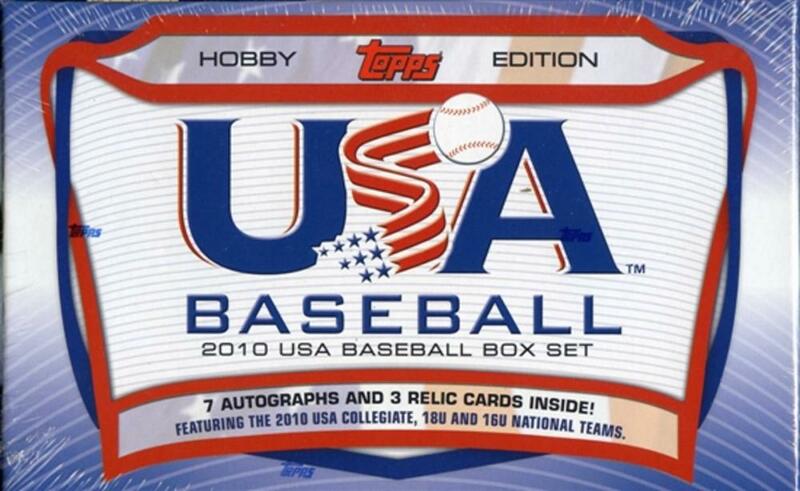 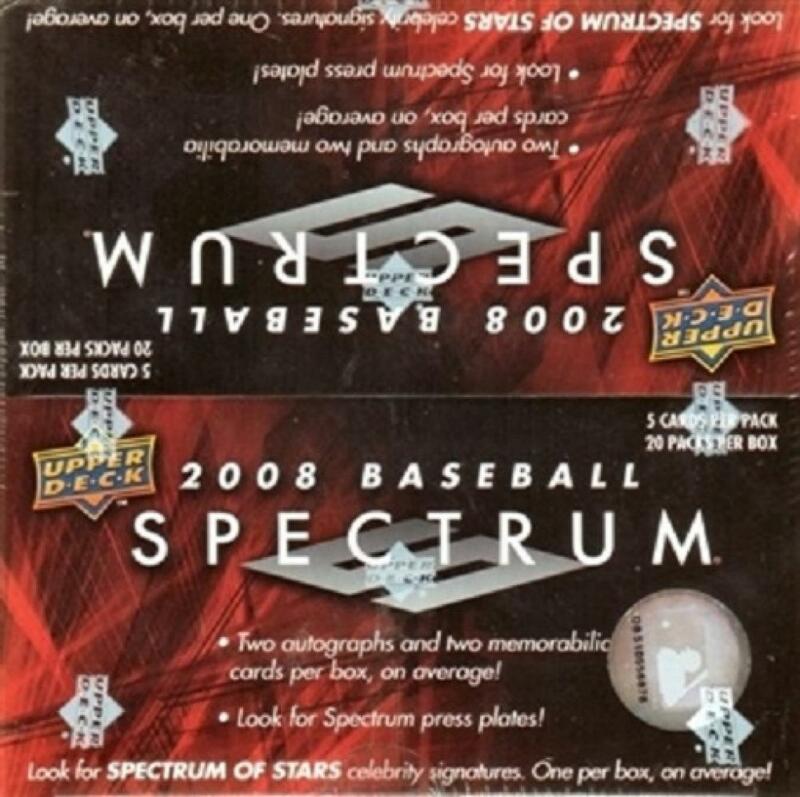 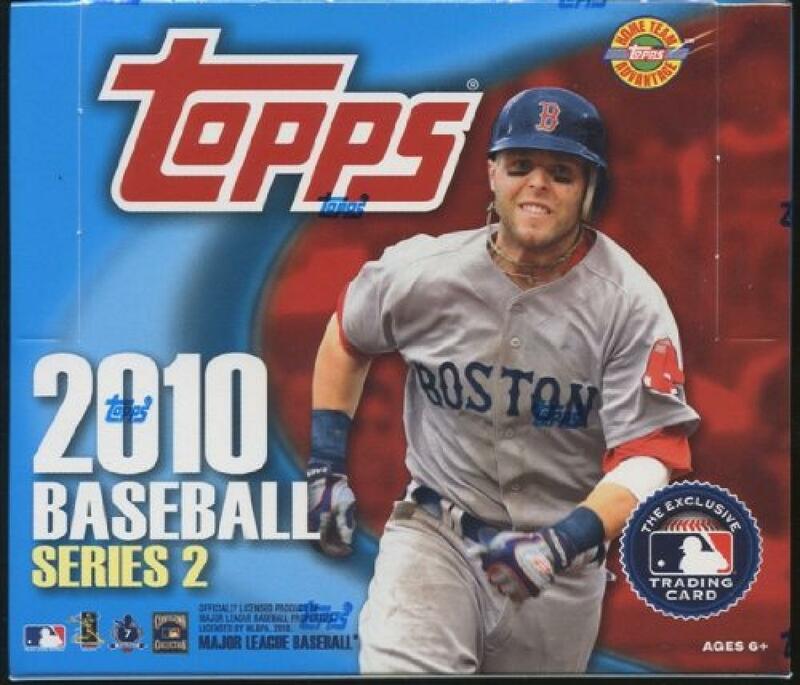 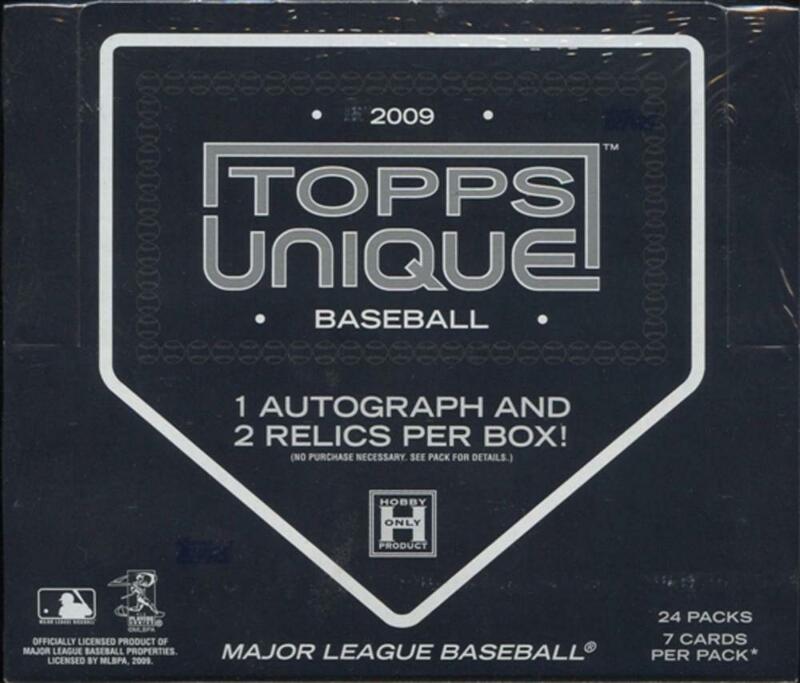 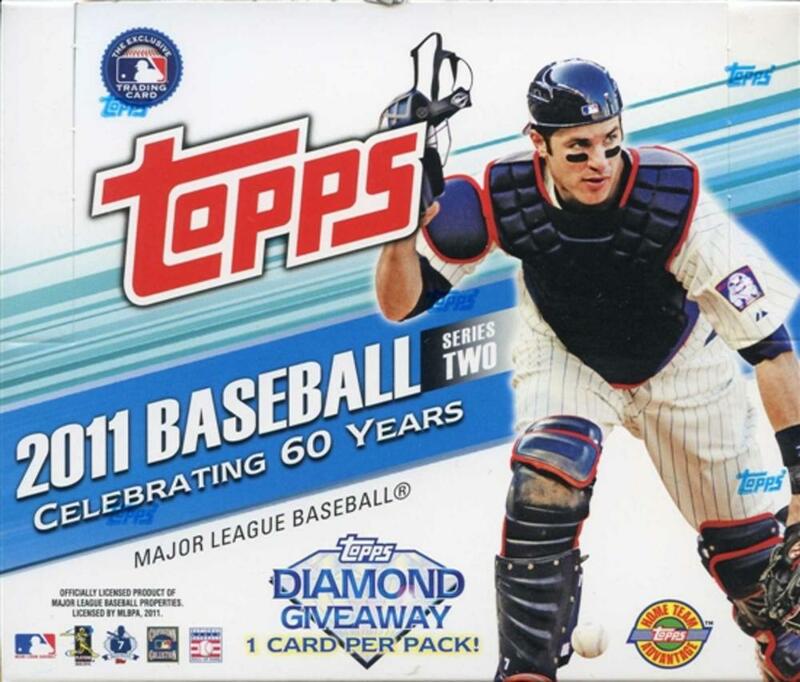 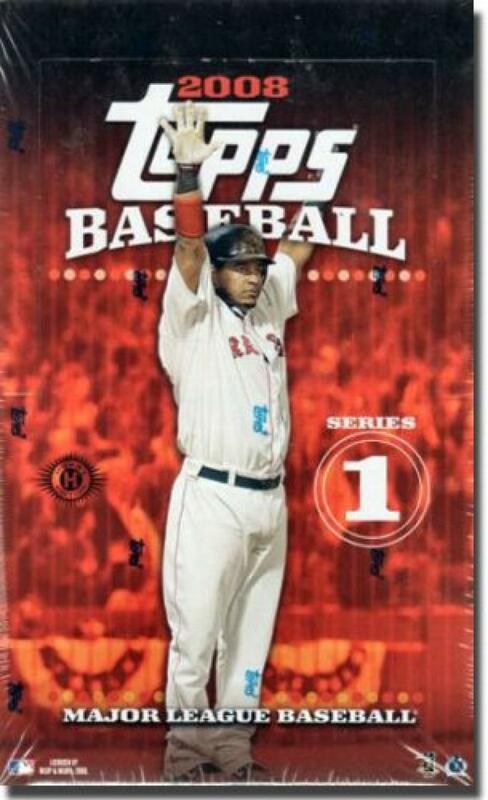 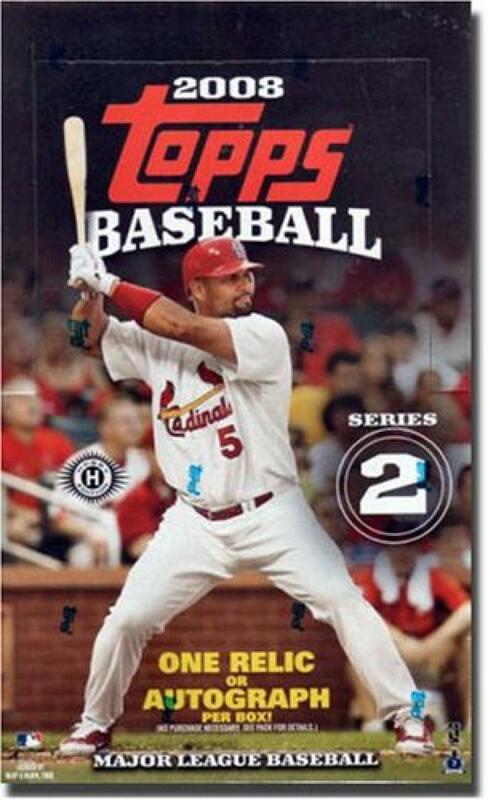 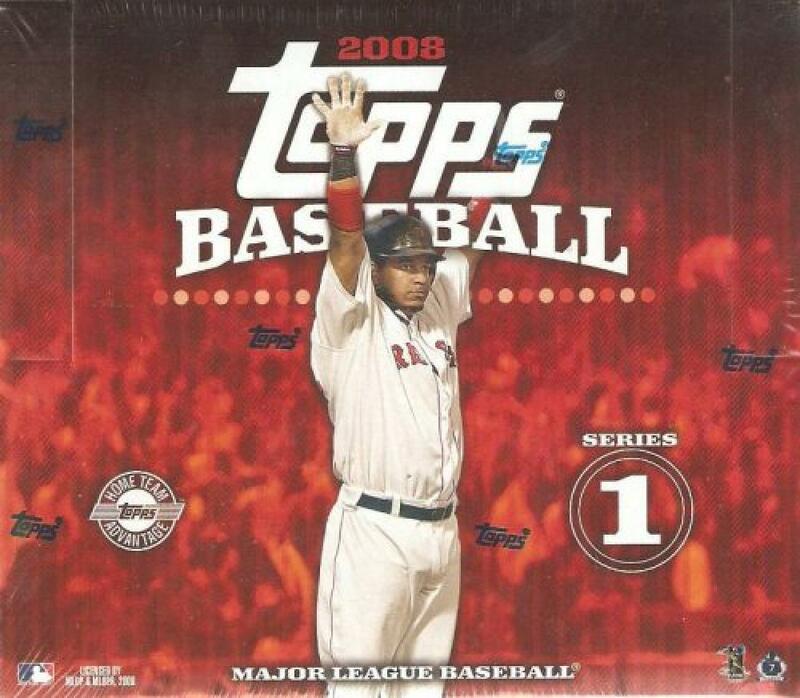 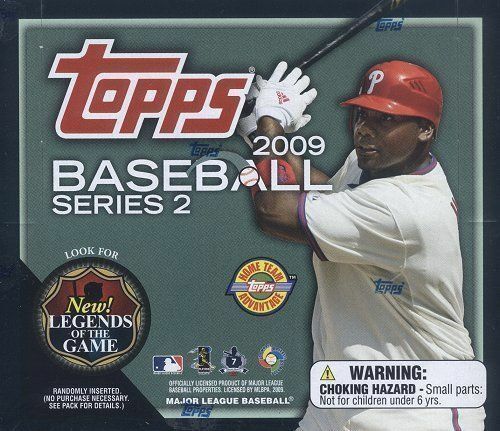 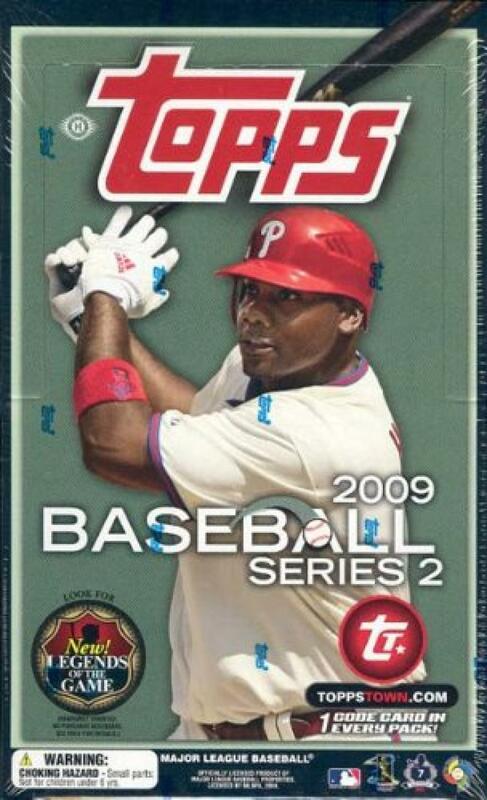 2004 Upper Deck Series 2 Baseball Hobby Box - Factory Sealed! 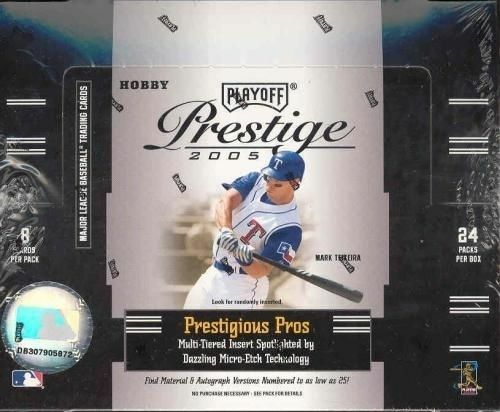 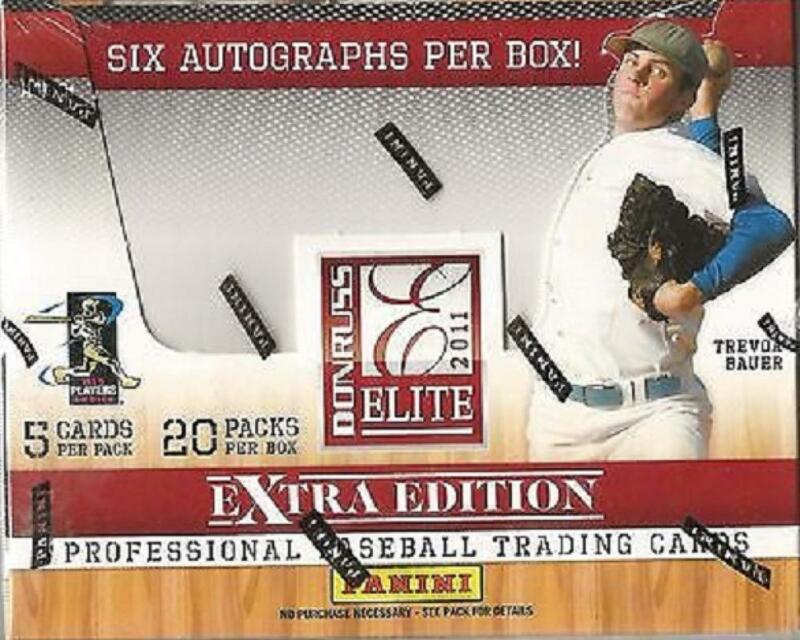 2005 Playoff Prestige Baseball Hobby Box - Factory Sealed! 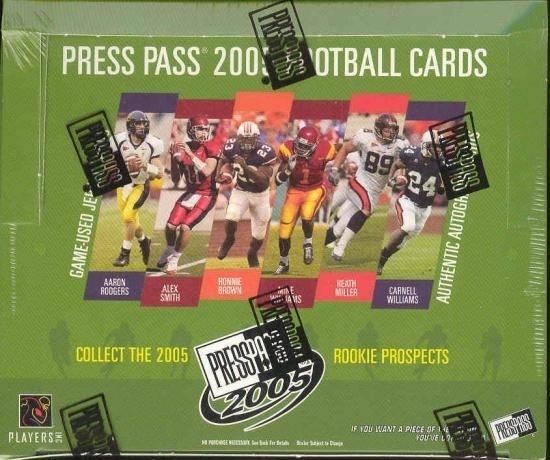 2005 Press Pass Football Hobby Box - Factory Sealed! 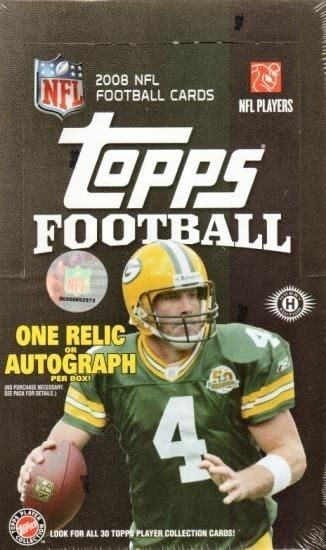 Aaron Rodgers??? 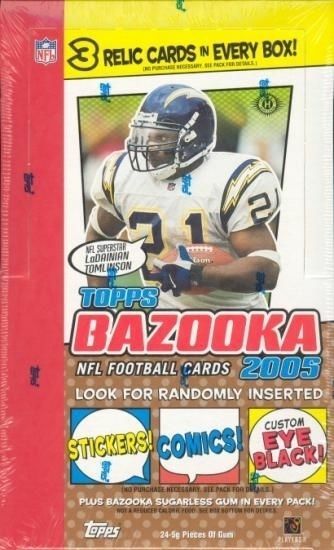 2005 Topps Bazooka Football Hobby Box - Factory Sealed! 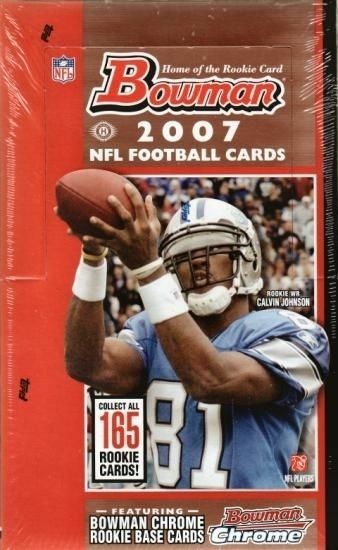 2006 Bowman Football Hobby Box - Factory Sealed! 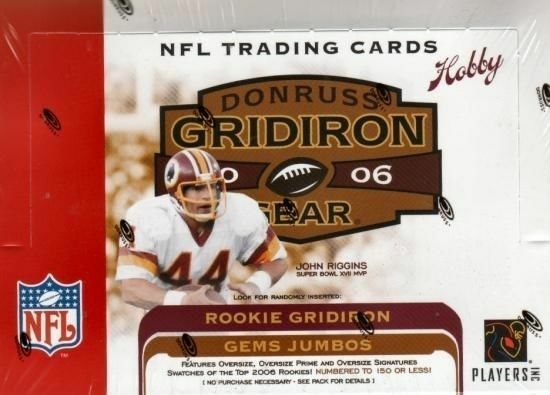 2006 Donruss Gridiron Gear Football Hobby Box - Factory Sealed! 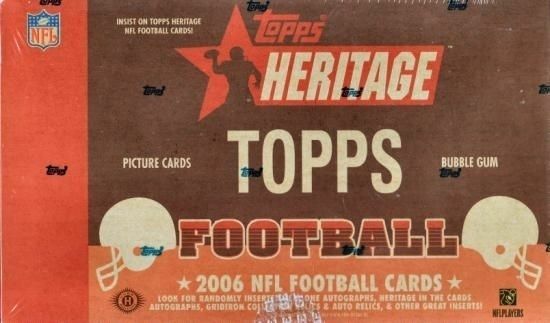 2006 Topps Heritage Football Hobby Box - Factory Sealed! 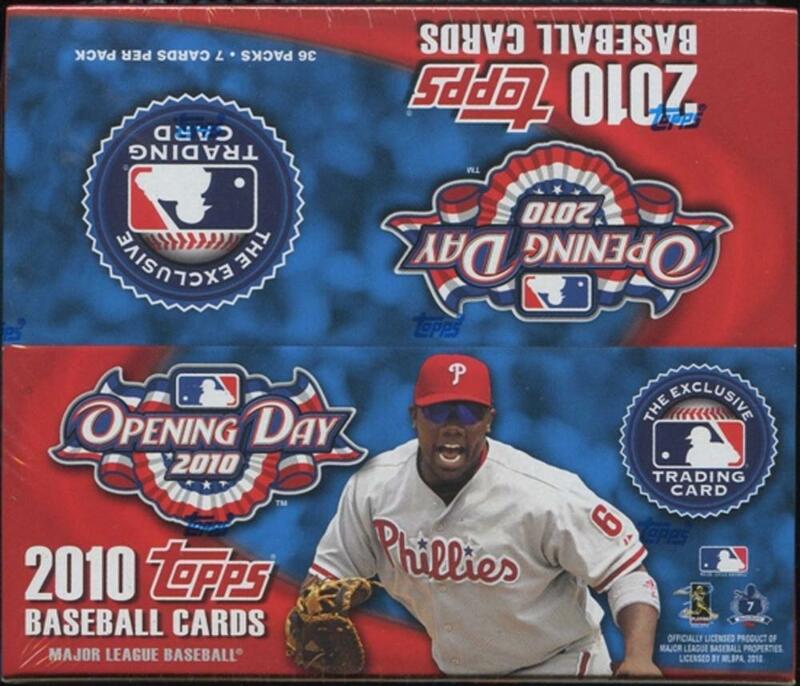 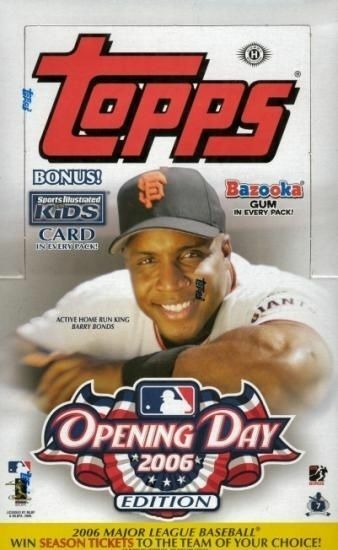 2006 Topps Opening Day Baseball Hobby Box - Factory Sealed! 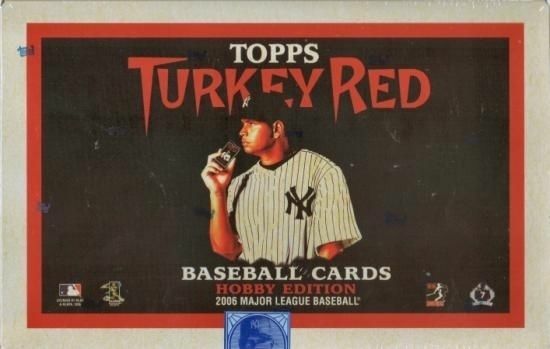 2006 Topps Turkey Red Baseball Hobby Box - Factory Sealed! 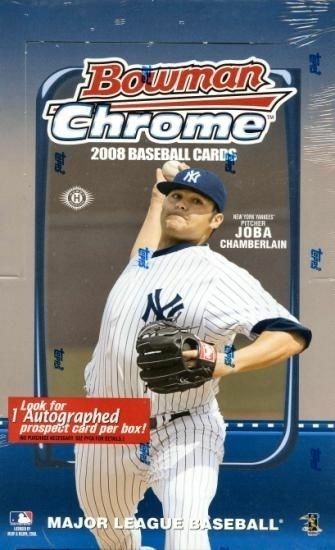 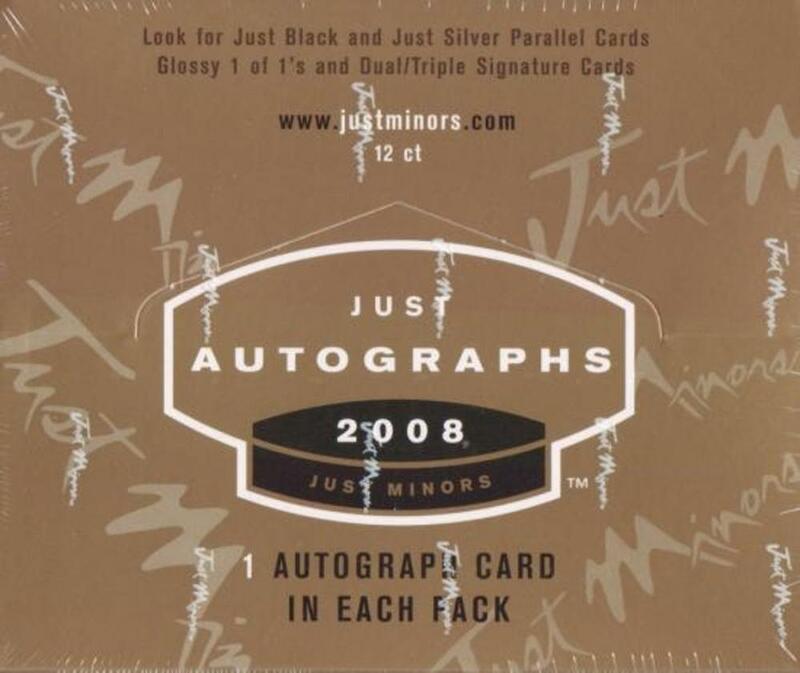 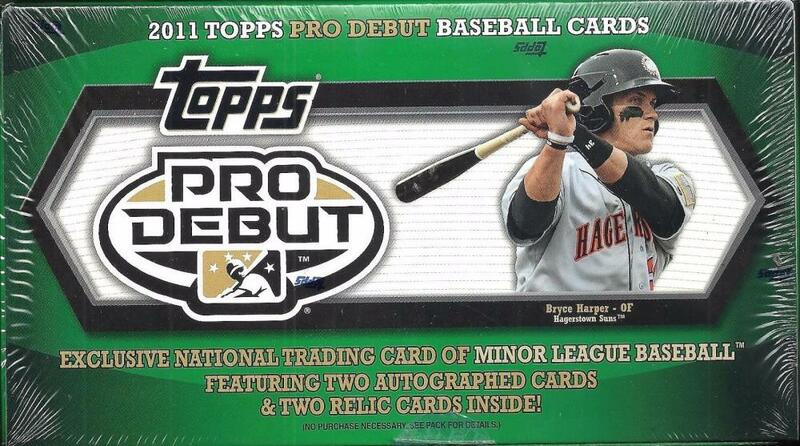 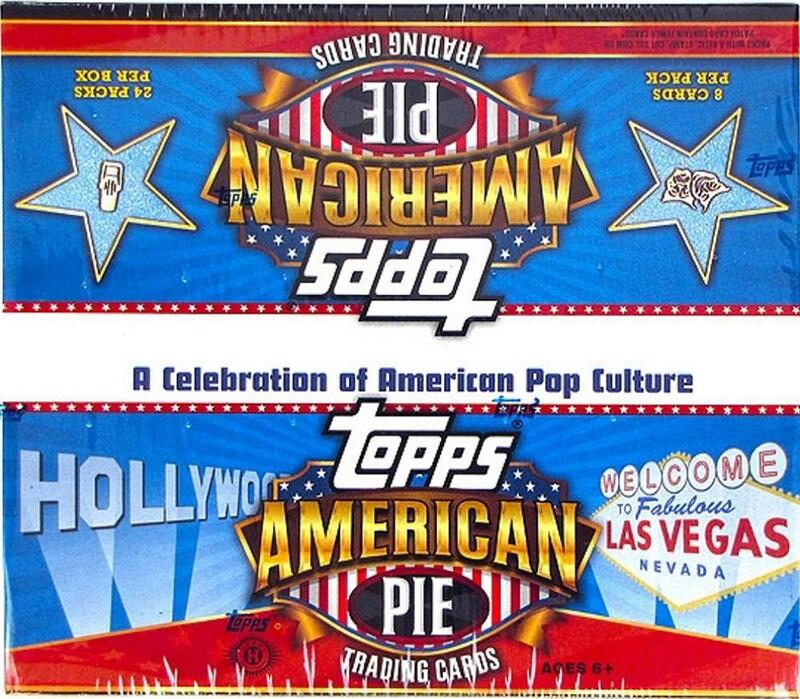 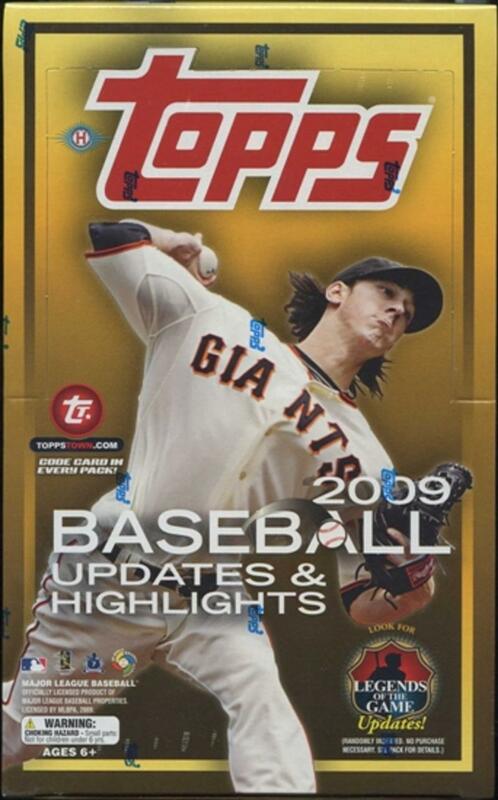 2006 Topps Updates and Highlights HTA Jumbo Box - Factory Sealed! 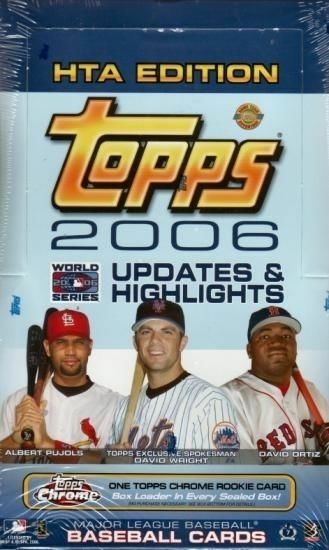 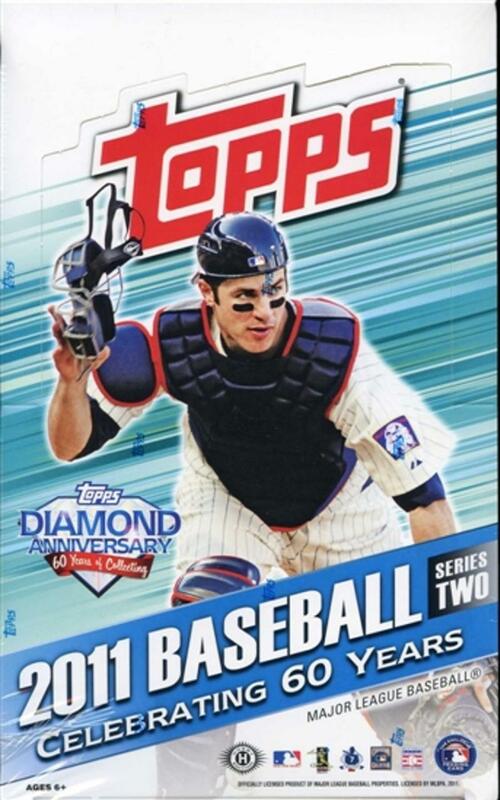 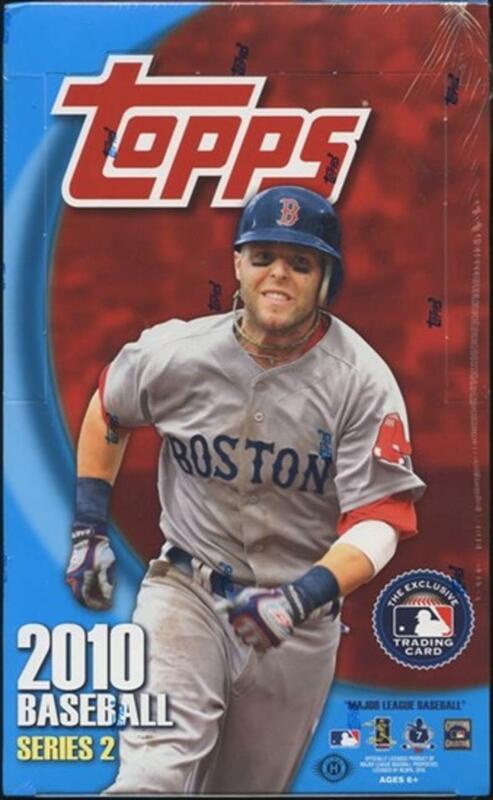 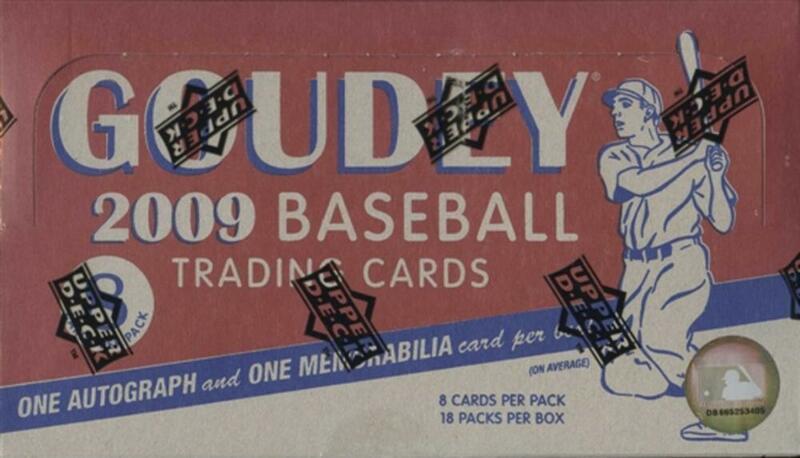 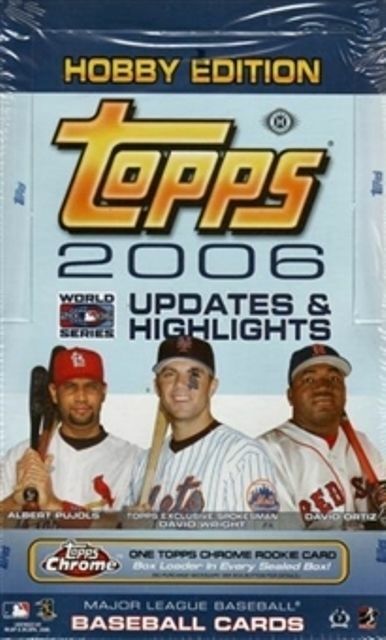 2006 Topps Updates and Highlights Hobby Box - Factory Sealed! 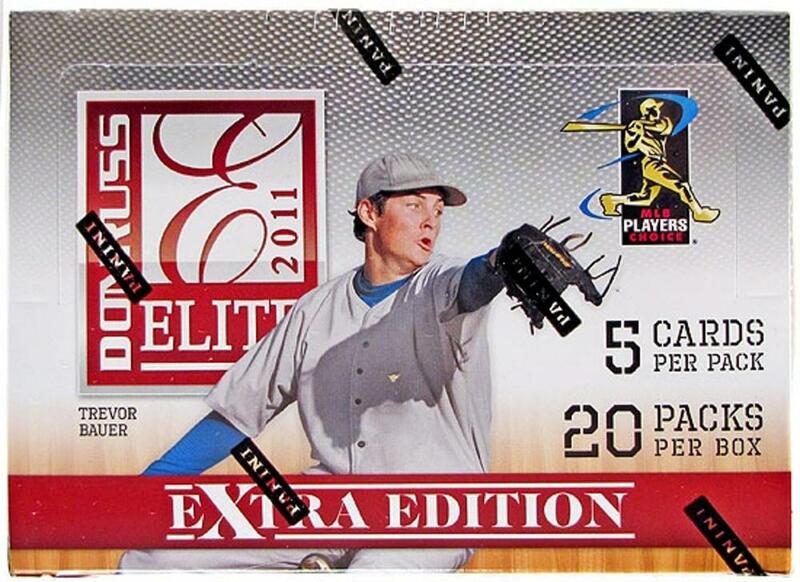 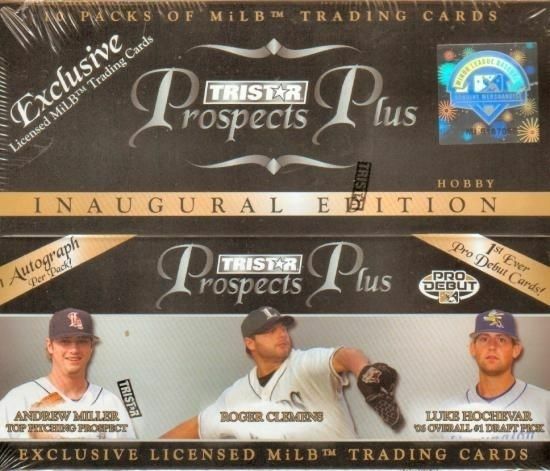 2006 TriStar Prospects Plus Baseball Hobby Box - Clayton Kershaw??? 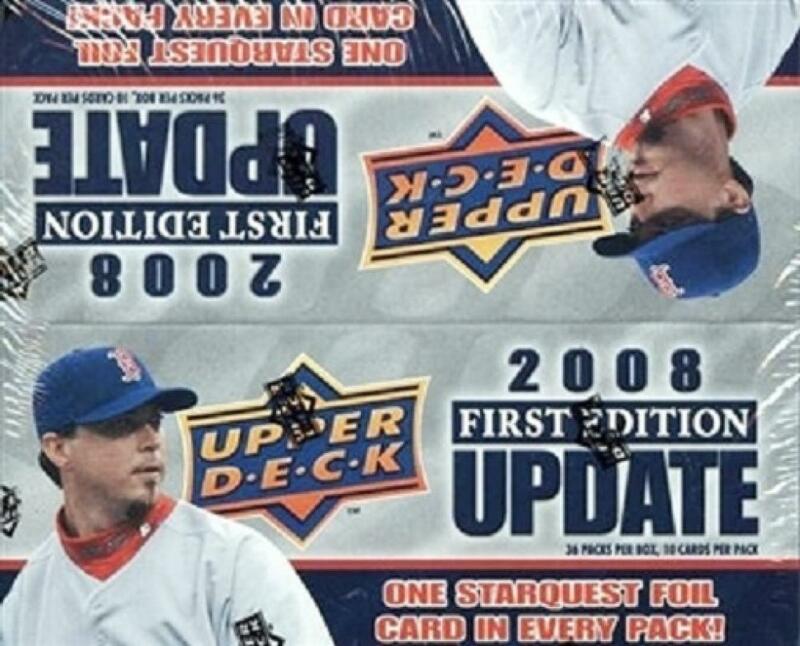 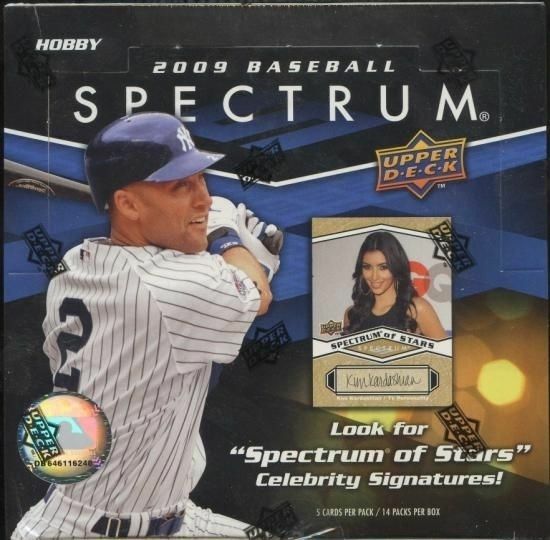 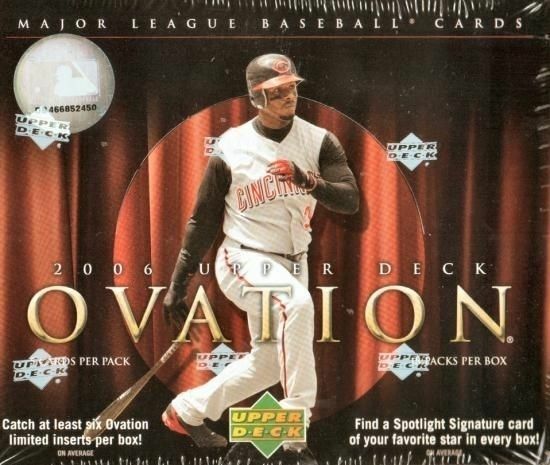 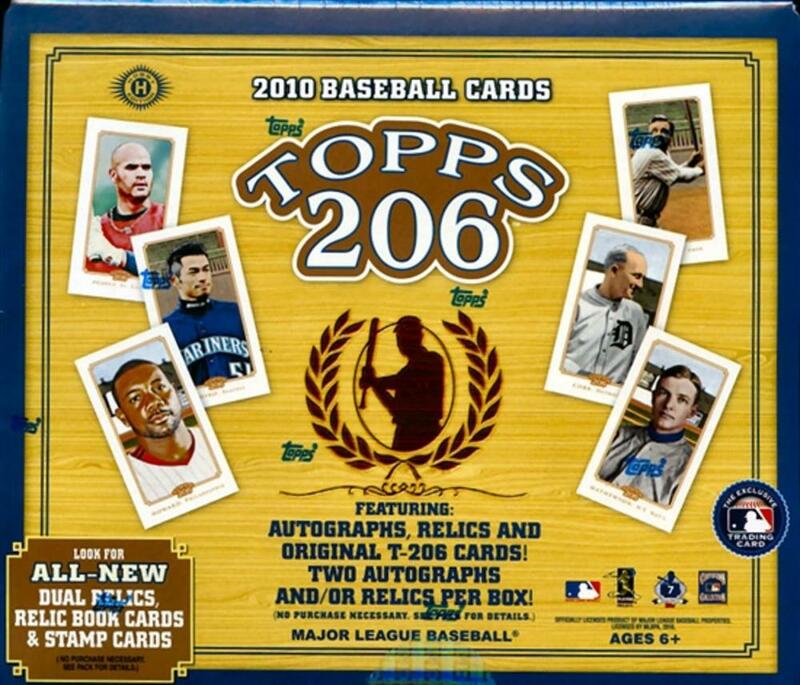 2006 Upper Deck Ovation Baseball Hobby Box - Factory Sealed! 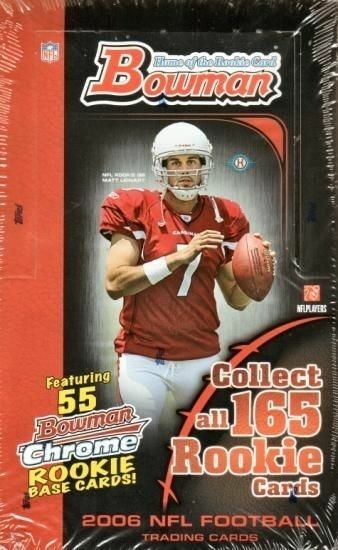 2007 Bowman Football Hobby Box - Factory Sealed! 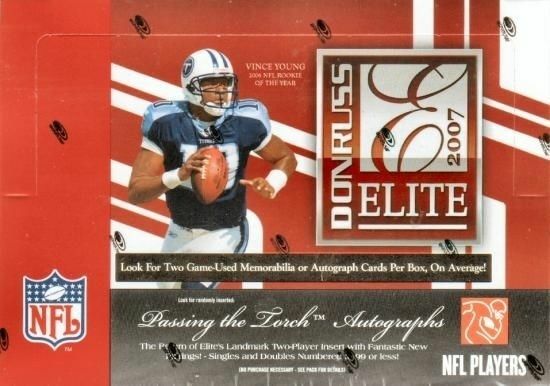 2007 Donruss Elite Football Hobby Box - Factory Sealed! 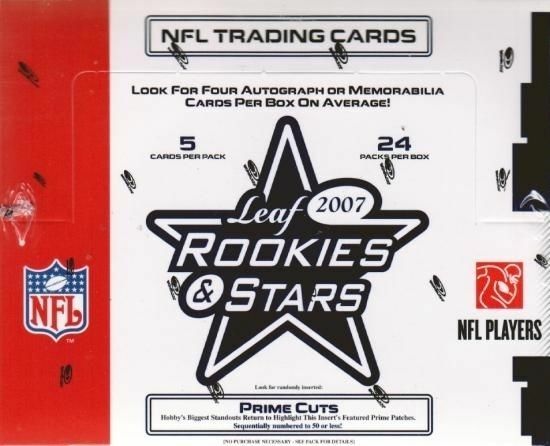 2007 Leaf Rookies & Stars Football Hobby Box Factory Sealed! 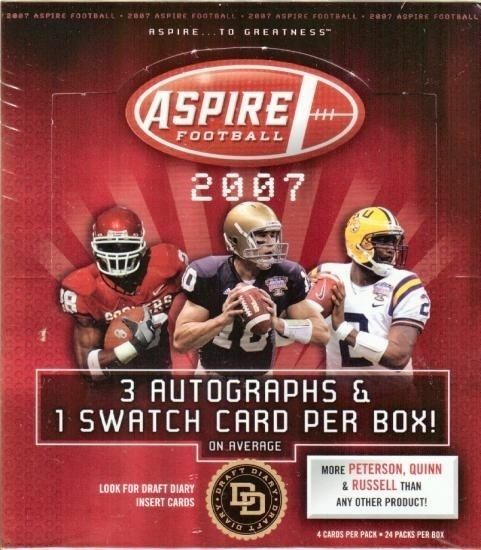 2007 Sage Aspire Football Hobby Box - Factory Sealed! 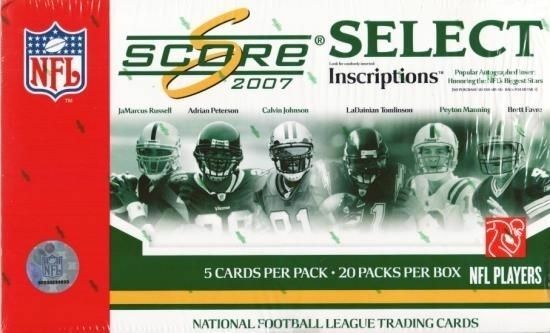 2007 Score Select Football Hobby Box - Factory Sealed! 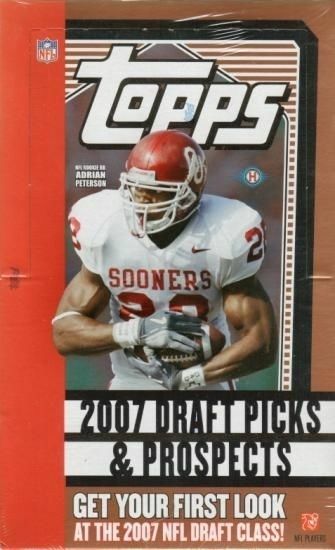 2007 Topps Draft Picks and Prospects Football Hobby Box - Factory Sealed! 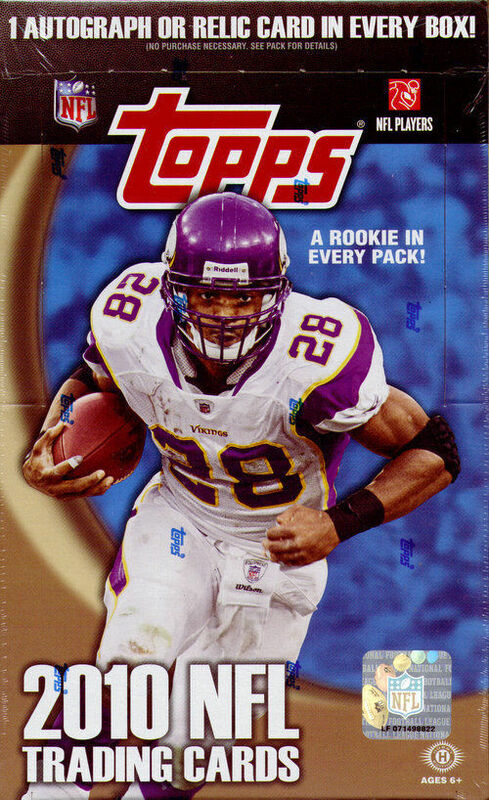 2007 Topps Football Hobby Box - Factory Sealed! 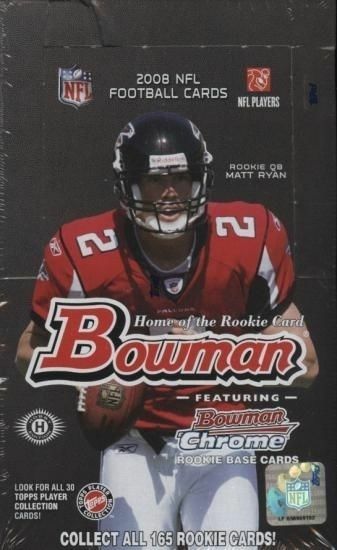 2008 Bowman Football Hobby Box - Factory Sealed! 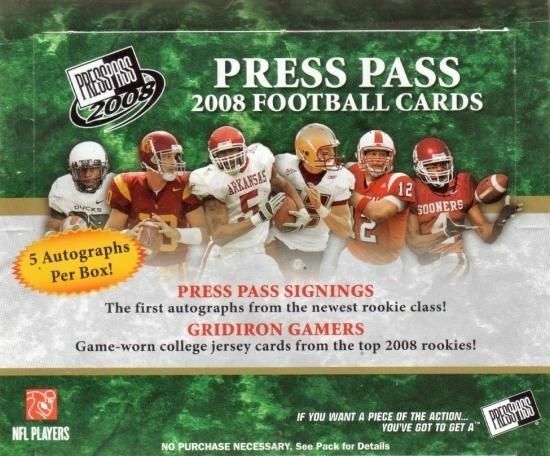 2008 Press Pass Football Hobby Box - Factory Sealed! 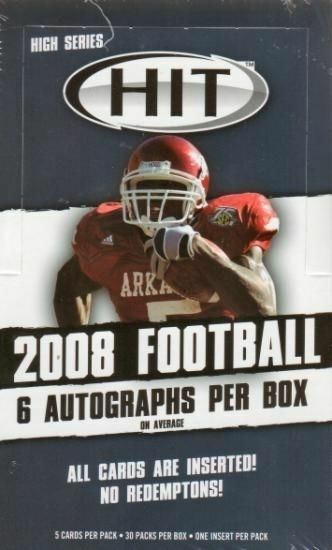 2008 Sage Hit High Series Football Hobby Box - Factory Sealed! 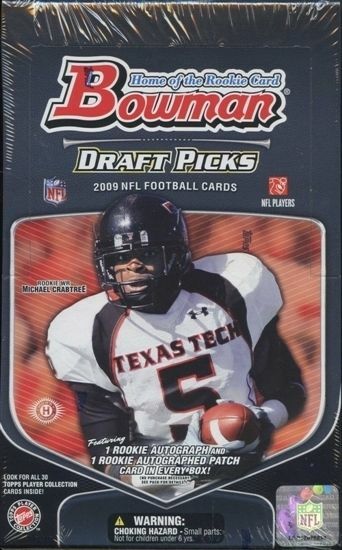 2008 Sage Hit Low Series Football Hobby Box - Factory Sealed! 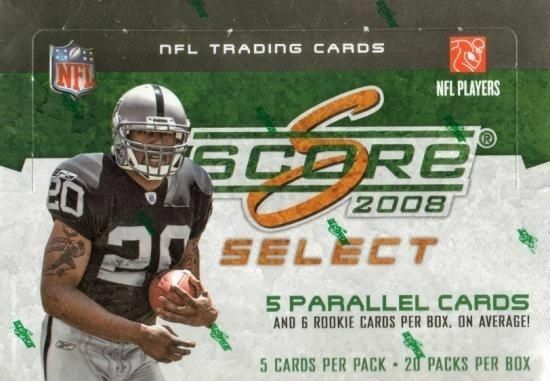 2008 Score Select Football Hobby Box - Factory Sealed! 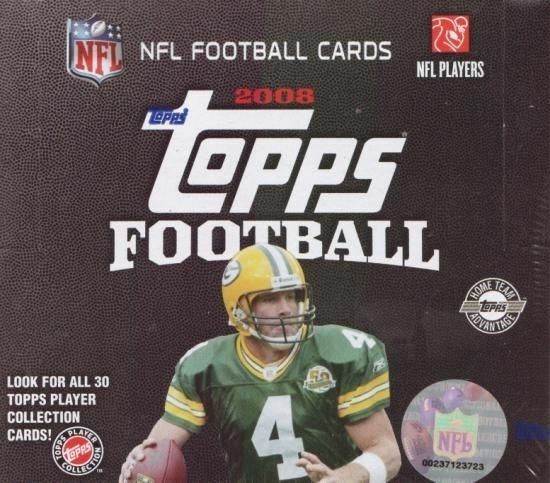 2008 Topps Football Hobby Box - Factory Sealed! 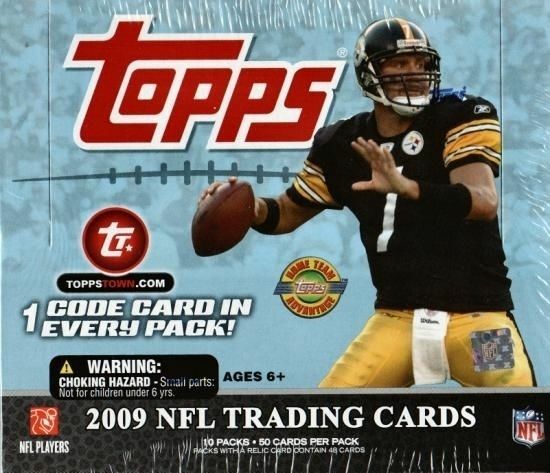 2008 Topps Football Jumbo Box - Factory Sealed! 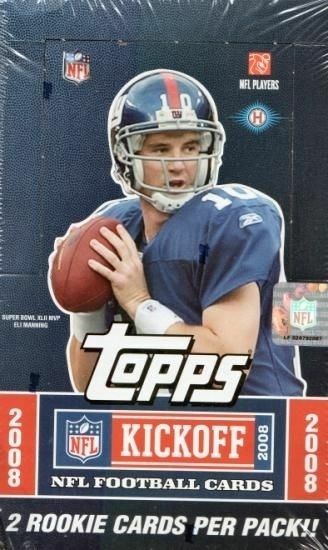 2008 Topps Kickoff Football Hobby Box - Factory Sealed! 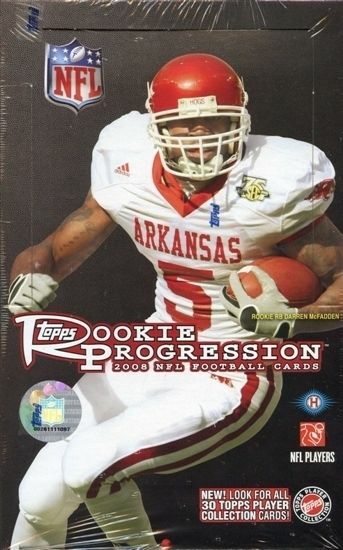 2008 Topps Rookie Progression Football Hobby Box - Factory Sealed! 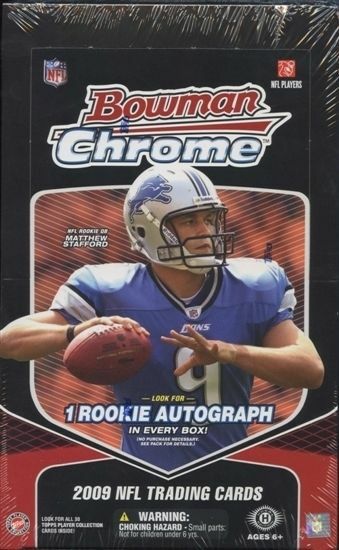 2009 Bowman Chrome Football Hobby Box - Factory Sealed! 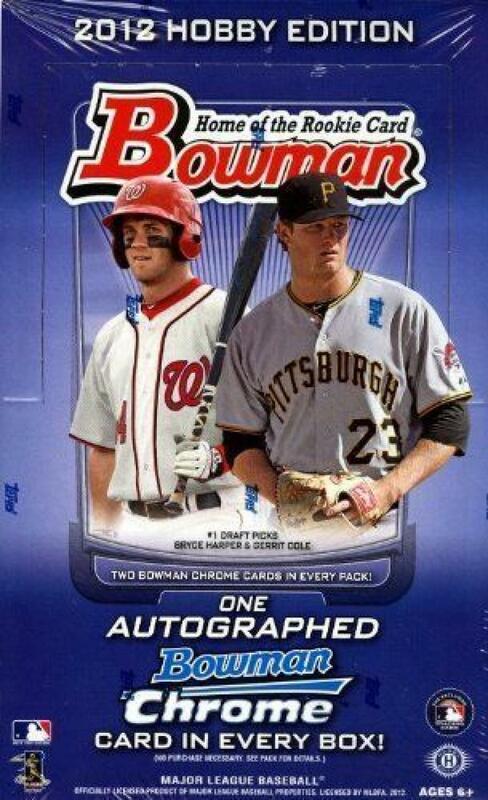 2009 Bowman Draft Picks Football Hobby Box - Factory Sealed! 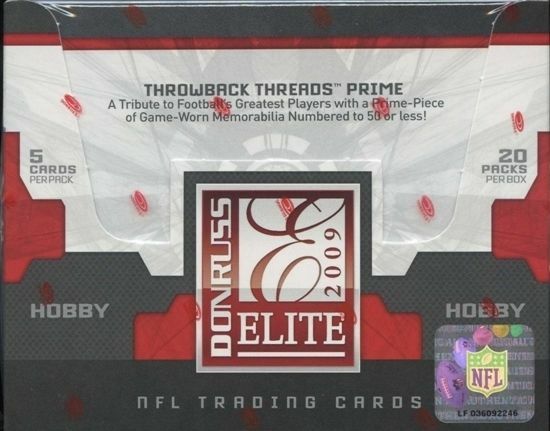 2009 Donruss Elite Football Hobby Box - Factory Sealed! 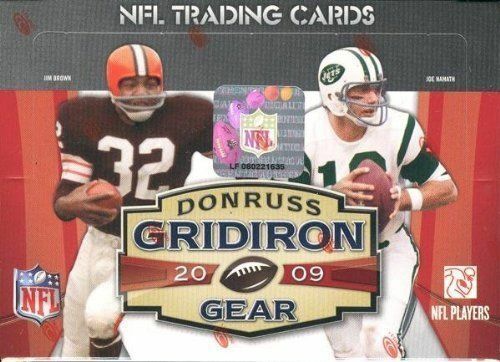 2009 Donruss Gridiron Gear Football Hobby Box - Factory Sealed! 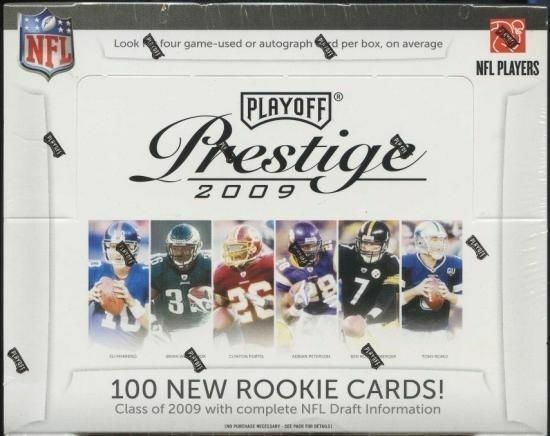 2009 Playoff Prestige Football Hobby Box - Factory Sealed! 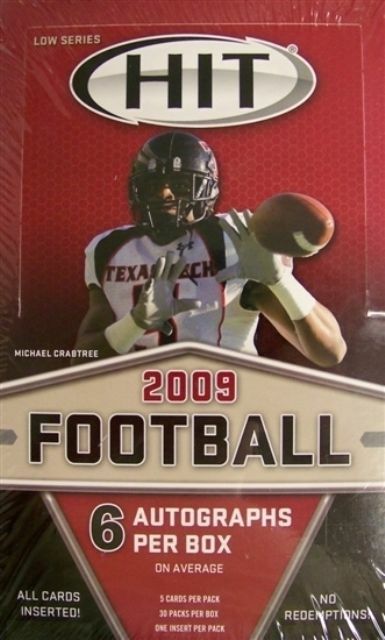 2009 Sage Hit High Series Football Hobby Box - Factory Sealed! 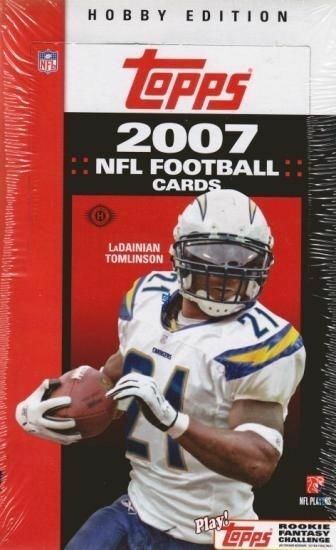 2009 Sage Hit Low Series Football Hobby Box - Factory Sealed! 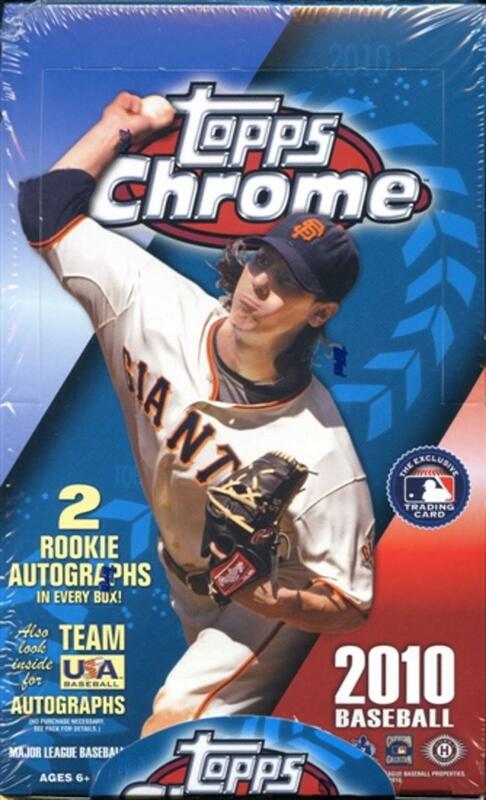 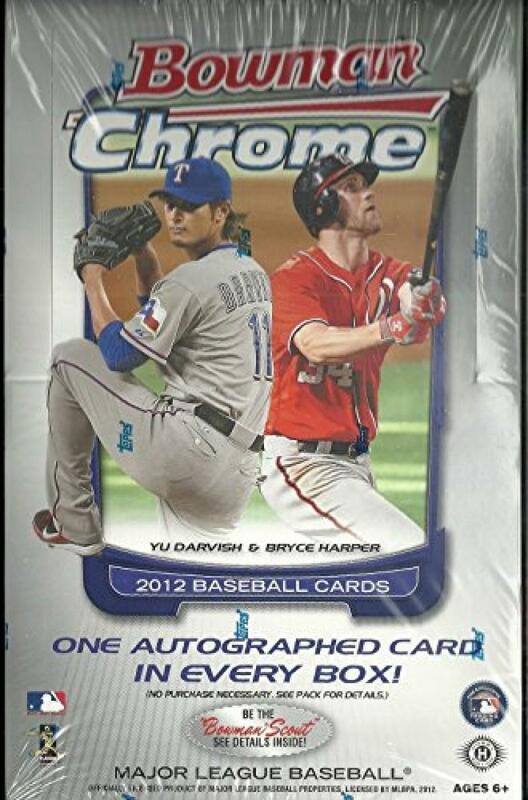 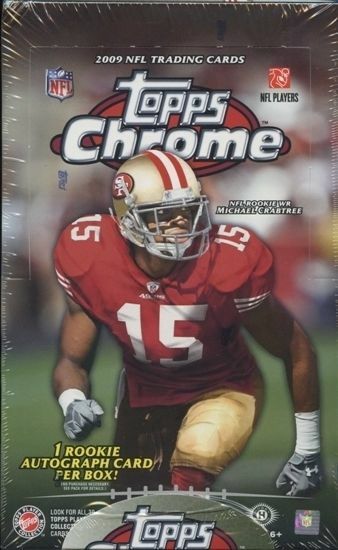 2009 Topps Chrome Football Hobby Box - Factory Sealed! 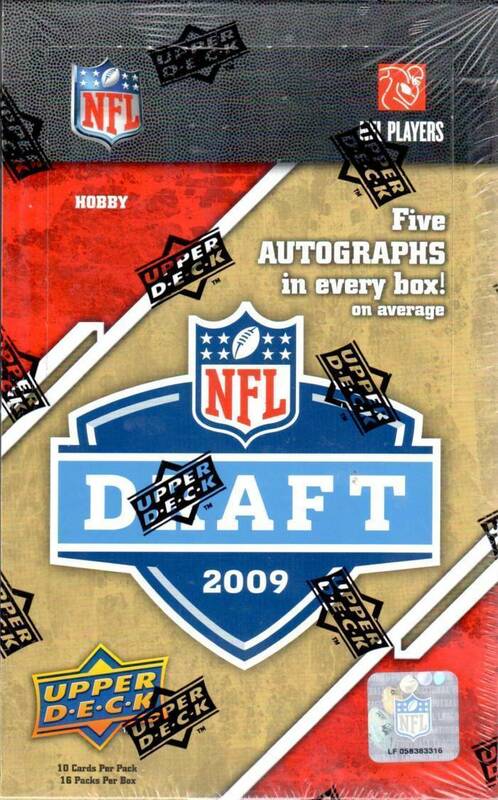 2009 Upper Deck Draft Editon Football Hobby Box - Factory Sealed! 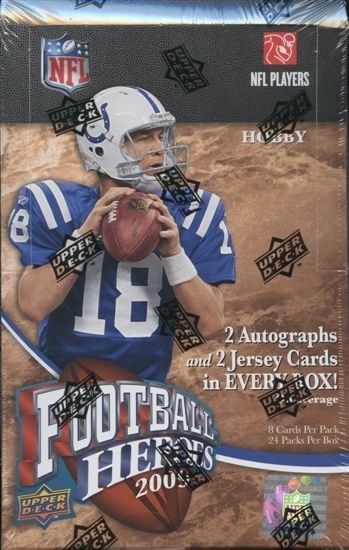 2009 Upper Deck Heroes Football Hobby Box - Factory Sealed! 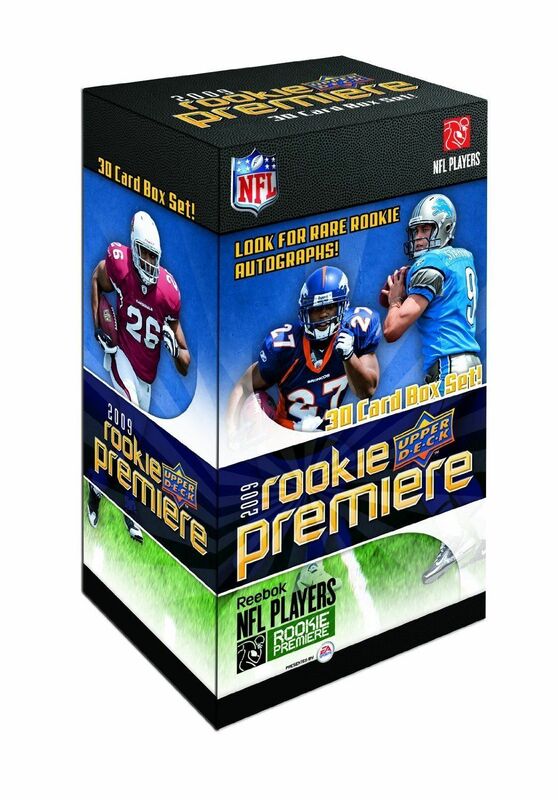 2009 Upper Deck Rookie Premiere Football Hobby Set - Factory Sealed! 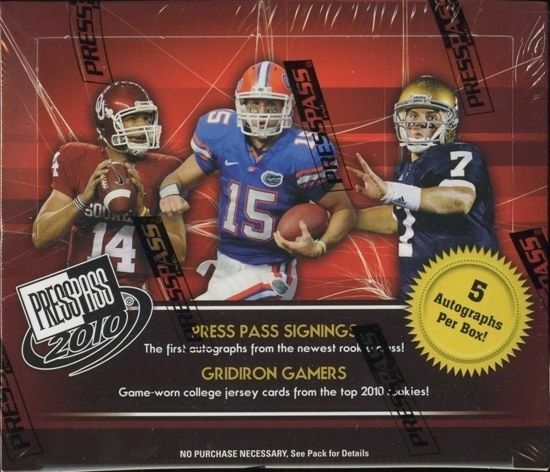 2010 Press Pass Football Hobby Box - Factory Sealed! 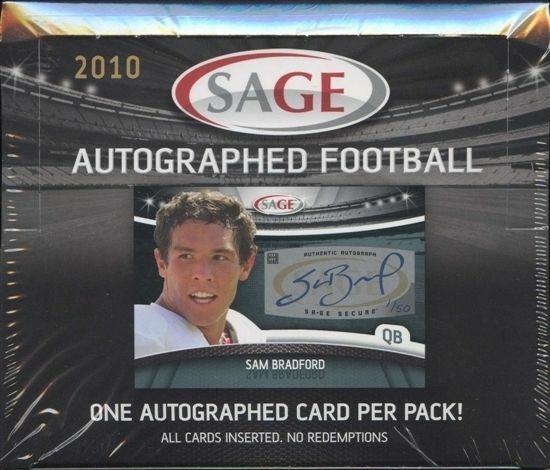 2010 Sage Autographed Football Hobby Box - Factory Sealed! 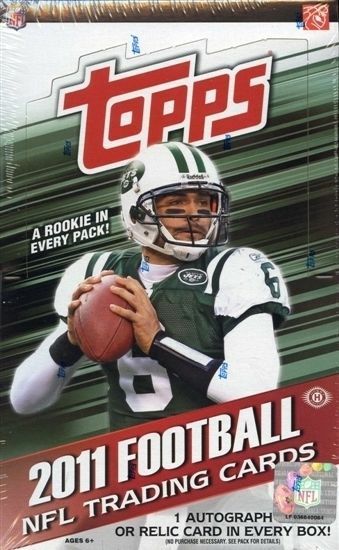 2010 Topps Football Hobby Box - Factory Sealed! 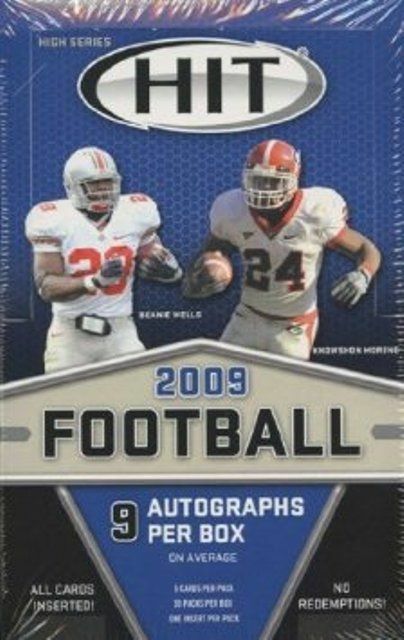 2010 Topps Football Jumbo Box - Factory Sealed! 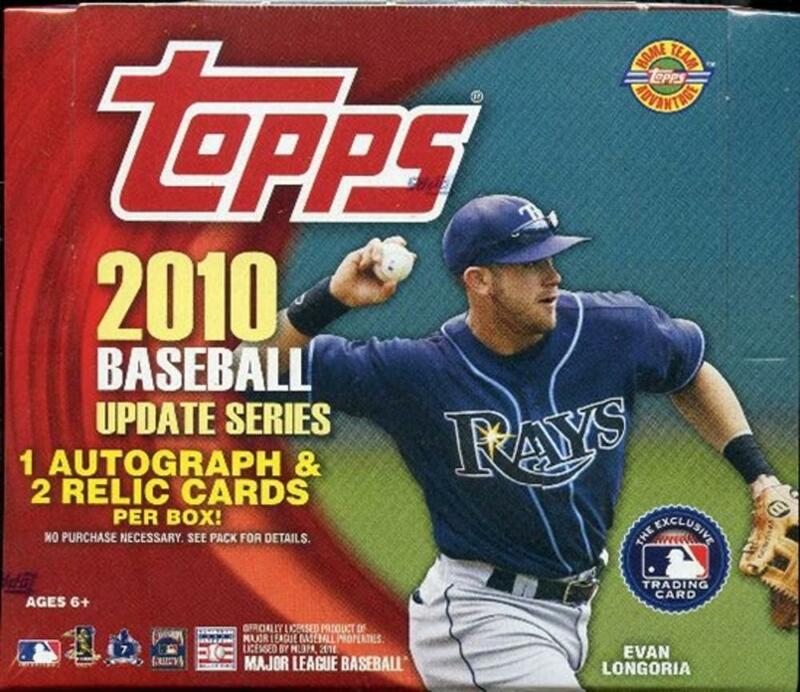 2010 Topps Update Baseball Jumbo Box - Stanton Rookie? 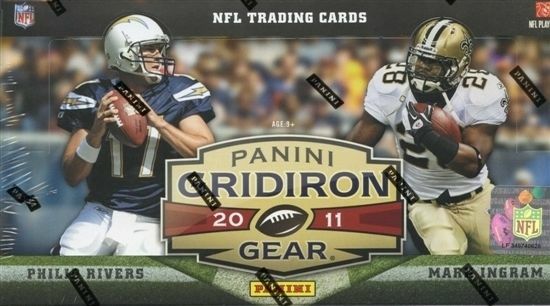 2011 Panini Gridiron Gear Football Hobby Box - Factory Sealed! 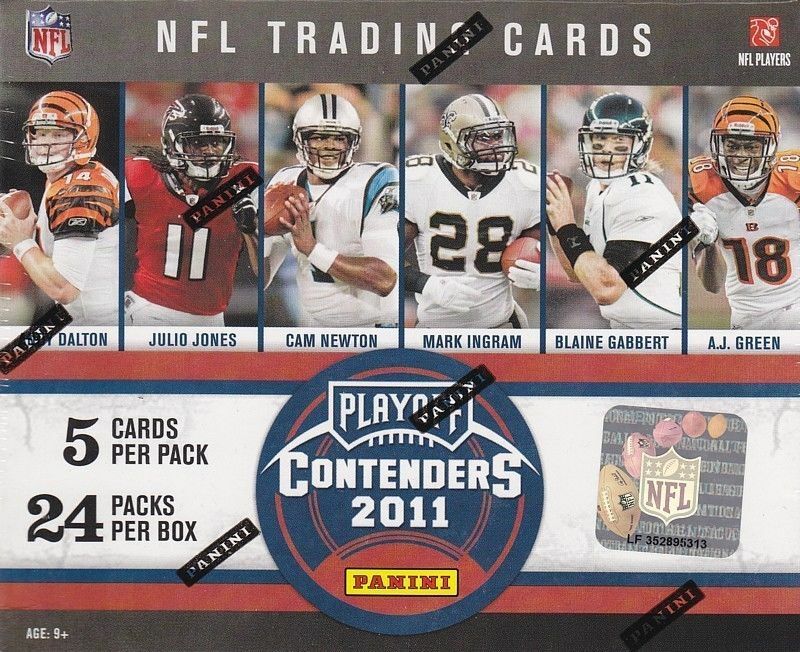 2011 Playoff Contenders Football Hobby Box - Factory Sealed! 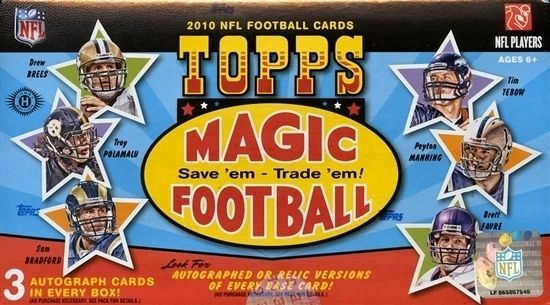 Loaded with Stars! 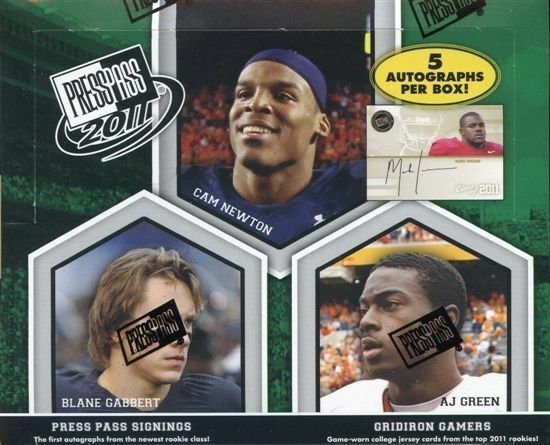 2011 Press Pass Football Hobby Box - Factory Sealed! 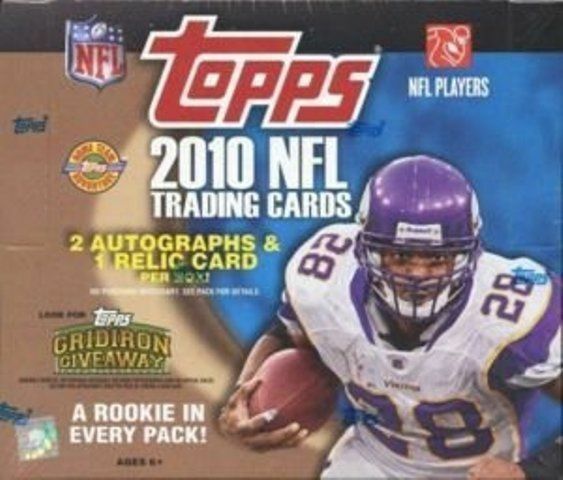 2011 Topps Football Hobby Box - Factory Sealed! 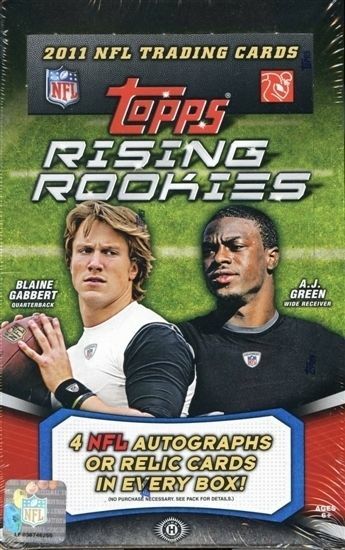 2011 Topps Rising Rookies Football Hobby Box - Factory Sealed! 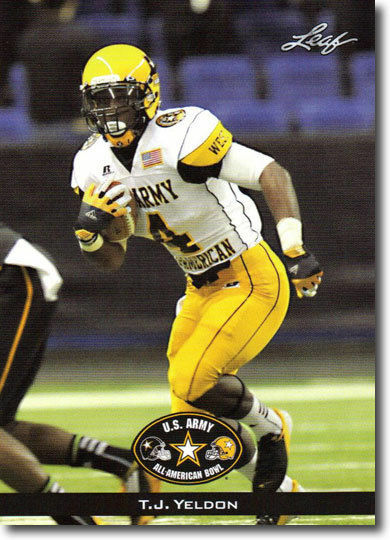 2012 Leaf US Army All American Football 98 Card Rookie SET - FUTURE NFL Stars!